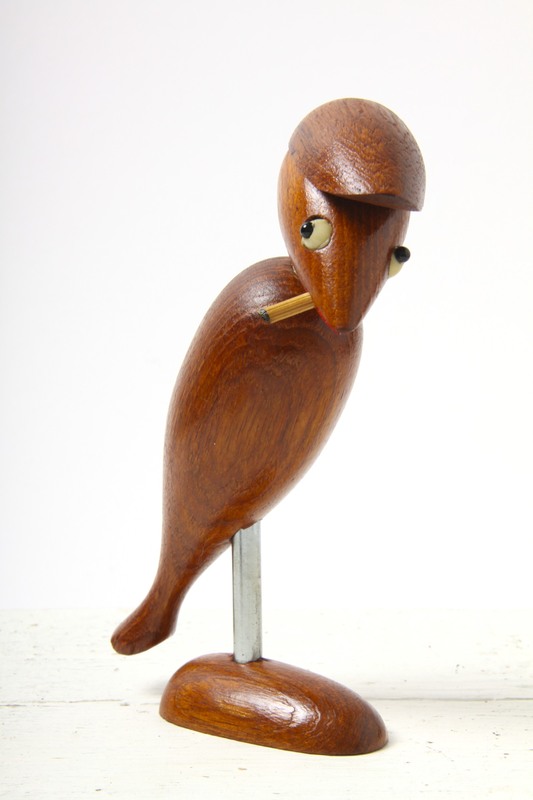 This is a Beautiful Danish Teak mid-century modern style bird bottle opener / corkscrew, circa 1960’s. 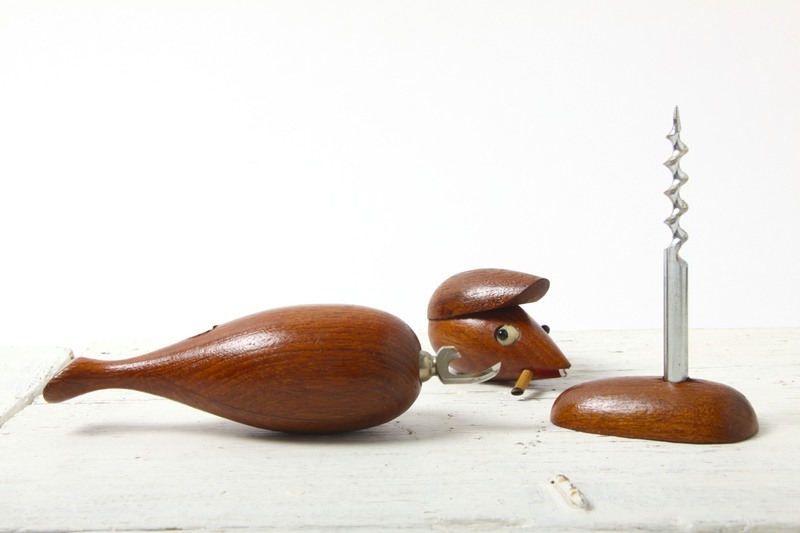 A Fabulous Scandinavian collectable, the head removes to reveal a bottle opener, and the base comes off to reveal a corkscrew. 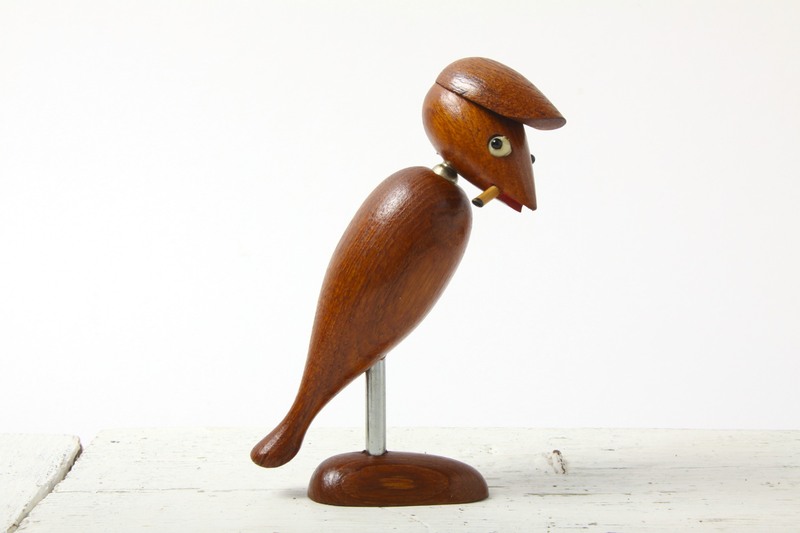 Great stylised design details, from the flat cap on his head, plastic bead eyes, a cigarette in his carved red painted beak / mouth. Lovely form to the body, wonderfully curved down to the gorgeous tail. The corkscrew doubles up as a stand and leg, sitting on the lozenge shaped teak foot. A Stunning piece, stamped ‘Made in Denmark’ to the base, possibly by Hans Bolling / Kay Bojesen who produced very similar designs, and is so reminiscent of the era, the wood has lovely patination to match its age. In Excellent Condition, a couple of small rough areas of wood, nothing to detract on display. Measures 17 x 10 x 4.5cm / 6.75 4 x 1.75in.